The Jordan 6-17-23 was a popular choice in the market during its two previous releases and it is expected to make waves once again with the scheduled release of its third colourway this month. 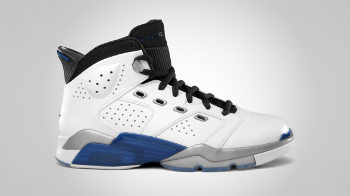 Set to drop before the end of this month, the new Jordan 6-17-23 will come out in White/College Blue-Black colourway. The upper part is majority white-colored combined with a college blue on the ankle pull and black lining, laces, and tongue. The new Air Jordan 6-17-23, which resembles the original Air Jordan XVII that was released when MJ played for the Washington Wizards, is a must-buy so don’t dare miss it! Check Out the New Jordan Prime 5 This Month!